On Tuesday, November 27, Ridgefield School District’s board members voted in favor of putting a $77 million bond issue up for a vote on February 12, 2019. 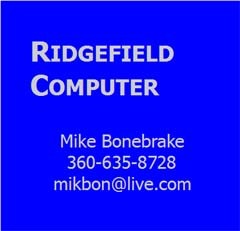 If approved by the voters, the bond proceeds, along with approximately $15 million of state assistance money, will enable the district to construct a new K-4 elementary school; expand Ridgefield High School and renovate the vocational education building; construct covered play areas and upgrade HVAC systems at South Ridge and Union Ridge elementary schools; and make safety and security upgrades district-wide. The district’s Capital Facilities Advisory Committee (CFAC) developed the 2019 Bond Program. Made up of volunteers comprised of parents, citizens and staff from the Ridgefield community, the committee spent six months working to effectively address the community’s rapid growth. The collaboration between CFAC and the district provided the information needed to shape the design plans for Phase III of the district’s four-phase Capital Facilities Plan. 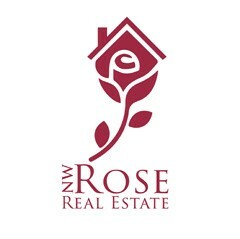 According to the U.S. Census Bureau, Ridgefield experienced 65% growth from 2010 to 2017, making it Washington’s fastest growing city. Over the next four years, Ridgefield School District is projecting a 45% increase in student enrollment, adding 1,422 new students by 2022. 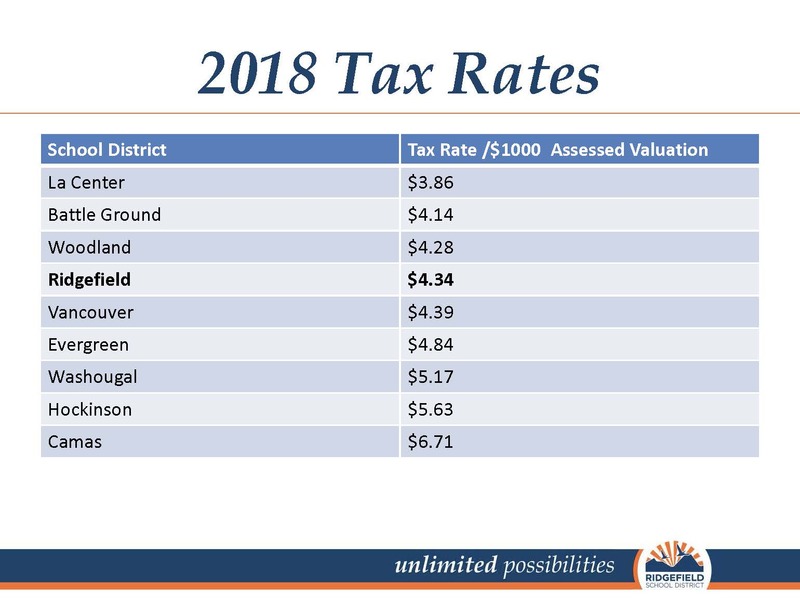 Currently, the bond tax rate for Ridgefield is $4.34 per $1,000 of assessed property value, making it the fourth lowest tax rate of the county’s nine K-12 school districts. With voter approval, the school tax rate is projected to increase by $0.09 per $1,000 of assessed valuation. For the owner of a $300,000 home, that would mean an increase in property tax of $2.25 per month. I think the school district has not explained just how this proposed bond will be funded. How about this, break down how this 77 million will be used, for instance, what is the cost, just for the new school, the cost for upgrades to the other two schools. Also a really defined explanation of why it will only cost nine cents per thousand. The perception I hear from people is they don’t trust. 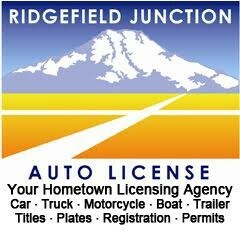 You really need to find better ways to communicate with the citizens of Ridgefield.